Adorned with graceful arches and elegant art deco lights the eight story Beaux Arts Hecht-May Co. building at the corner of Lexington and Howard streets (designed by Smith and May architects) was originally built in 1908 as an annex to the Bernheimer Brothers Department store. In what must have been a first for Baltimore, the building initially featured a rooftop garden and hosted cow milking demonstrations. The store sold groceries, clothing, and a variety of household goods. 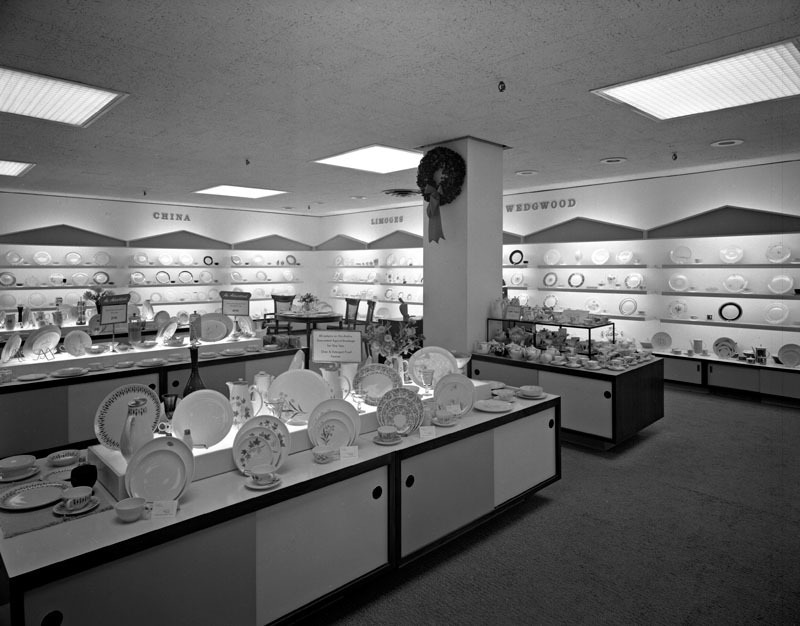 In 1923, Bernheimer Brothers merged with the Leader Department Store and four years later The May Company bought the combined Berheimer-Leader store and incorporated it as one of their outlets. 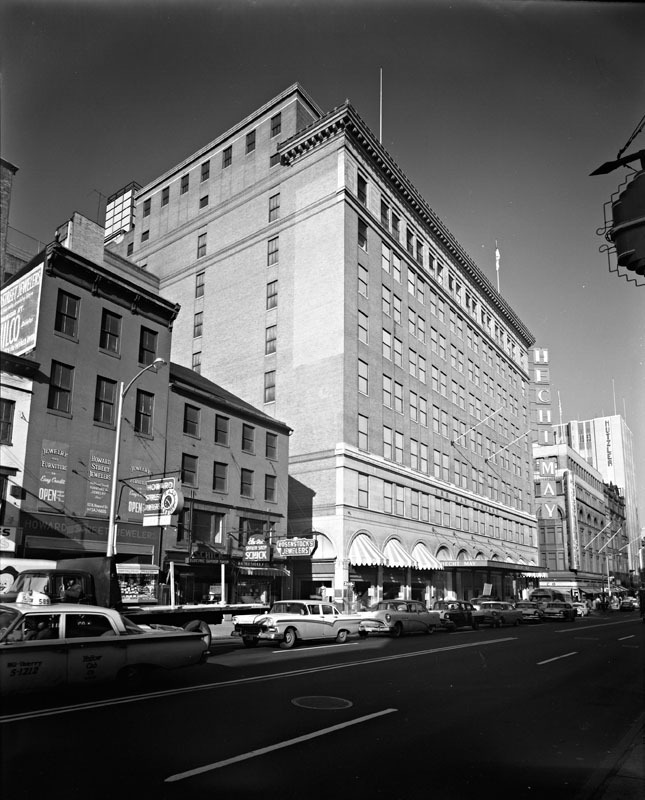 In 1959, the May Co. purchased the Hecht Company and this building became the Hecht-May Company's main Baltimore location. Though this building's life as part of the Hecht Company began in the twentieth century, the story of the Hecht Company reaches far back to the mid-1840s. Samuel Hecht, founder of the DC-based Hecht Company, emigrated from Germany to the United States in 1844 and worked as a peddler. Four of Hecht's five sons worked in the family business but one in particular - Moses Hecht - stood out as an early and persistent entrepreneur who proved critical to the family's success. 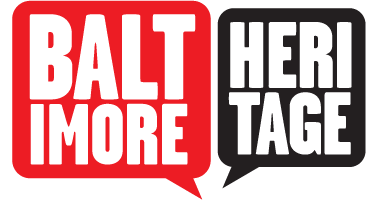 Moses began working at one of Hecht's earliest Baltimore outlets, Hecht's Reliable on Broadway, at age 13 and went on to become the store's general manager within two years. He helped to bring the store record profits thanks to innovations like the one-price-per-item policy, guaranteeing everyone paid the same price for the same merchandise without needing to bargain with store employees. Hecht's retail empire grew quickly and lasted for over 100 years. 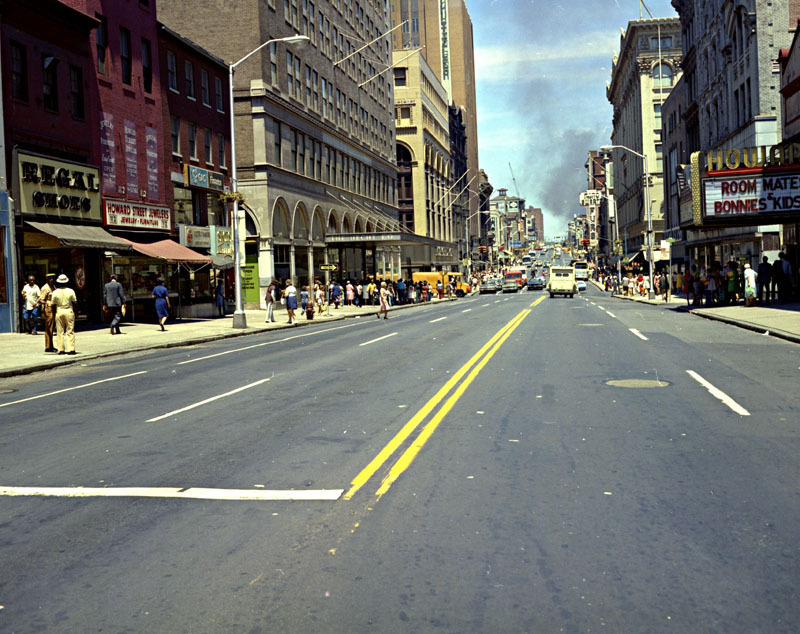 By the late 1800s, the Hecht Company operated a general store at Baltimore and Pine streets, a carpet store on Lexington, and an upscale store known as The Hub at the corner of Baltimore and Light Streets. When the 1904 Baltimore Fire destroyed The Hub's first location, the business relocated to Baltimore and Charles Streets - the site of the Mechanic Theatre today. At their Howard and Lexington location, Hecht's customers could purchase everything from sheets and towels to formal wear and pianos. 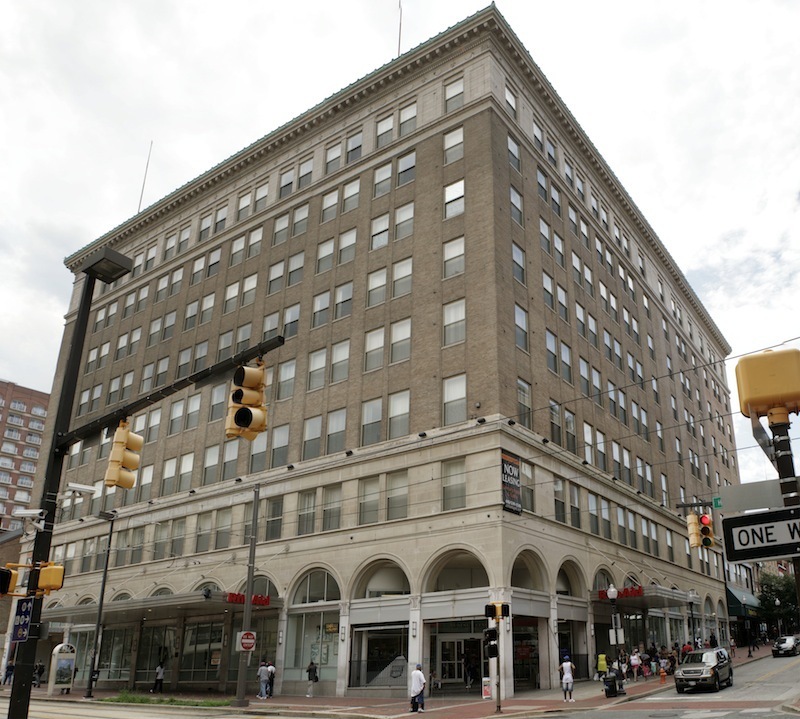 The store featured an art gallery on the eighth floor and customers frequently punctuated their shopping trips with lunch in the Courtyard Restaurant or tea in the Skyline Tearoom. In 1949 Hecht's opened a store in Annapolis and continued to open locations throughout the Baltimore-Washington area up until the 1970s. 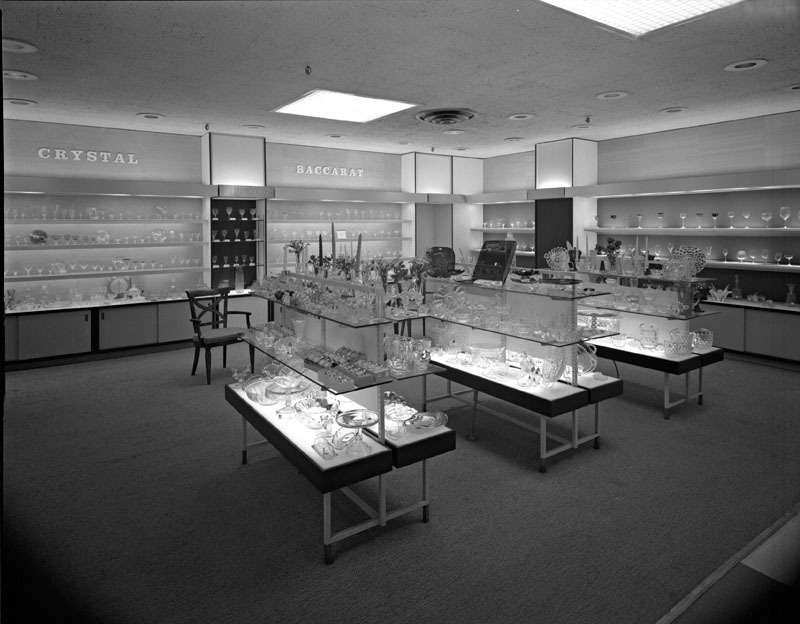 This store closed in the 1980s when Hecht's consolidated several locations. Renovated in 2007, the building is now home to a branch of Rite Aid and the upper stories house rental apartments. Meghan Gilbert and Theresa Donnelly, “Hecht-May Company,” Explore Baltimore Heritage, accessed April 19, 2019, https://explore.baltimoreheritage.org/items/show/112. Published on Jul 12, 2012. Last updated on Nov 27, 2018.